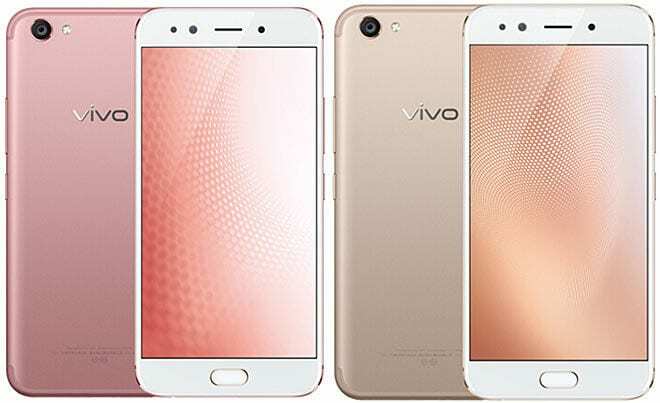 Vivo has decided to unveil another device, and we have feelings that you would not be disappointed. This device comes after previous ones have been released. Some of these include Vivo V5s, Y55s, y25, V5 Plus, X9 Plus and much more. Let us show you all about this newly announced device and tell you what we think about it. The Vivo X9s device would be available to the public this month. The Vivo X9s device’s outlook is definitely nothing short of beautiful. It proves to be a very sleek and admirable phone. The device measures 152.6 x 74 x 7 mm while it weighs a fairly okay 154 g. On its colour variants, the Gold, Rose Gold and Black colours are available. The front of the smartphone only features a single button below the display screen. This button is what houses the device’s fingerprint sensor. With an AMOLED capacitive touchscreen display type, the display size is pegged at 5.5 inches. This comes with a ~73.8% screen-to-body ratio. Quite, impressively, the display resolution sets at 1080 x 1920 pixels. A very high and impressive ~401 ppi pixel density would take care of the on-screen images and icons. Going by this phone’s pixel density, the Vivo X9s device’s display would be all to write home about. The smartphone is built on an Android operating system, v7.1 (Nougat). This is also as it runs on an Octa-core Qualcomm MSM8976 Snapdragon 652 processor. You want internal space to store lots of your documents? The good news is the Vivo X9s device avails users with a 64 GB memory for the purpose. But then, on another note, it isn’t quite cool that no provision is made for an external micro SD card. Taking care of the smooth running of applications of the device is a whopping 4 GB RAM. I think this amount of RAM would do justice to the device. One unique feature about the Vivo X9s camera is it duality on the front. When most devices come with only dual rear camera, this one has done otherwise, and it’s cool. It comes with a 16 MP camera on the back. On its front, there’s a Dual 20 MP + 5 MP camera, and it comes with LED flash too. Features of the camera include geo-tagging, touch focus, face detection, HDR and panorama. This department is one where I think the phone makers really got right. As its powerhouse, the Vivo X9s device has a Non-removable Li-Ion 3320 mAh battery. Going by this, the device seems to drift to the side of heavy smartphone users. It could also be recommended for the class of the average users too. The price of the Vivo X9s is around 350 euros. The price of the Vivo X9s device in Nigeria ranges from N110,000 to N130,000.